The Square Video Ad is an elegant and sophisticated tool to grab buyers attention and show sellers you’re bringing your A-game. 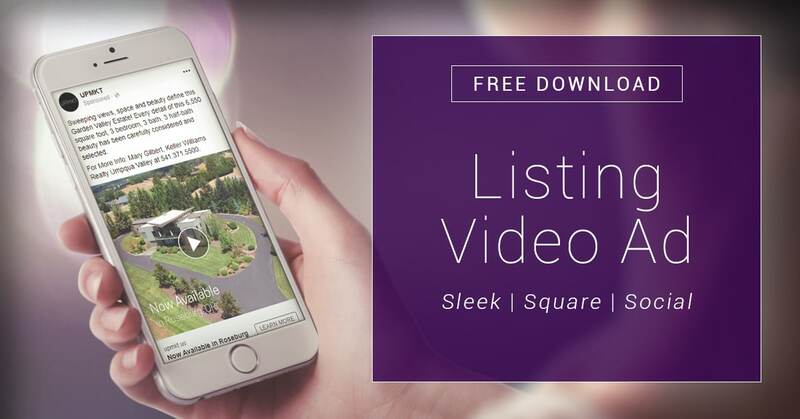 This customized video showcases your listing in a sleek 15 second spot that is professionally produced using your existing photos and text – with an effortless and pixel perfect result. Along with showcasing your listing, the ad highlights your elite marketing program and promotes your brand too! The square perfect size and format for mobile devices, and ideal for posting to Facebook, Instagram and all of your favorite social apps. Plus, you can optionally boost your video ad in a precision targeted ad campaign on Facebook, Instagram and across 1000s of sites and apps – reaching prospects by location, lifestyle and more. Sign up with your listing below!